Nikki Haley said the US did not need to give money to countries that wish harm to America, go behind its back and try and "stop us from doing things". Nikki Haley said there should be a strategic view on which countries we partner with. 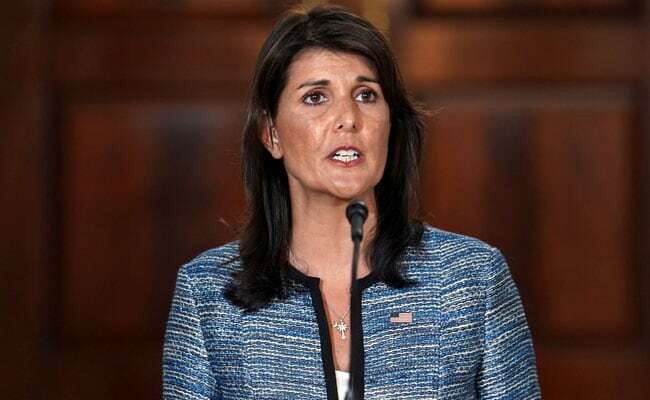 Pakistan continues to harbour terrorists that turn around and kill American soldiers, US ambassador to the UN Nikki Haley has said, asserting that Washington should not blindly give Islamabad even a dollar until it steps up efforts to combat terrorism. She said Pakistan should be told "you have to do these things before we will even start to help you with your military or start to help you on counterterrorism". The relations between Pakistan and the United States nosedived this January after President Trump accused Islamabad of giving nothing to Washington but "lies and deceit" and providing "safe haven" to terrorists.